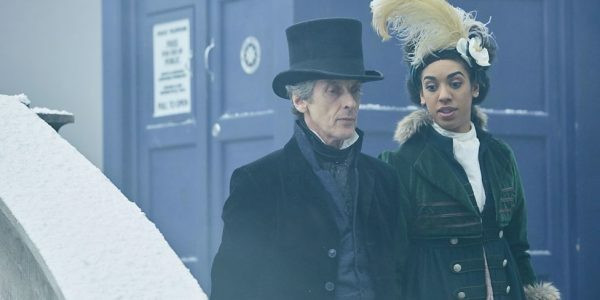 "Thin Ice," the third episode of Doctor Who's tenth season, has The Doctor and Bill visit the last Thames Frost Fair in 1814 - only to find out there's a giant creature lurking beneath the icy surface of the river. It seems that the theme of the tenth season of Who so far is "great characterization, lackluster monsters/plots." 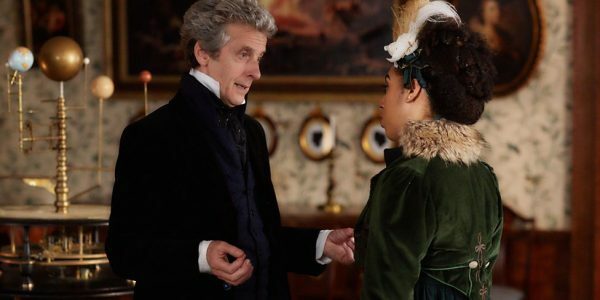 "Thin Ice" excels when it comes to The Doctor/Bill relationship, with plenty of fun banter as well as some truly great character moments. When Bill sees someone die for the very first time, she's understandably shocked and upset, whereas Capaldi's Twelve is his usual pragmatic, bordering on callous, self. Naturally, she calls him out on it. It's easily the best scene of the episode, highlighting Bill's humanity without belittling The Doctor. Granted, at this point Bill has seen her fair share of death, including what was essentially a walking, talking corpse being possessed by an alien puddle in "The Pilot". However, she points out that seeing dead people isn't the same as seeing someone die, which is fair - plus, it's a child that dies in this one, which is understandably more upsetting. Before that dramatic punch to the gut, the episode spends some time with The Doctor and Bill simply enjoying themselves at the Frost Fair. The Doctor delights in spotting con-men and tricksters and ends up obsessing over a coin trick which has a pretty neat payoff towards the end. Bill, having never traveled back in time, is worried about racists and the classic "step on a butterfly" scenario (doubles as callback to when Martha asked Ten the same thing in season three's "The Shakespeare Code"). Both of them run around in era-appropriate clothing and even bust out some diving gear for a few scenes, which is fun. It's the main plot and the monster-of-the-week that fails to impress. Essentially, it's a rehash of season five's "The Beast Below," but with less stakes and the addition of an uninteresting, one-dimensional villain. The presence and backstory of the creature are given a hand wave explanation so curt it makes me wonder if it will be a plot point in future episodes. The premise is interesting and the special effects and such are fairly well done, but the creature segments never really generate much excitement. The villain, Lord Sutcliffe (Nicholas Burns) comes in too late, is too cartoonish to be a real threat, and too boring to be entertaining. That being said, his first encounter with The Doctor and Bill contains two pretty awesome moments - one where The Doctor gives him a speech about the importance of human life and another that I won't spoil here. Matt Lucas pops back up at the end of the episode, bringing the tea he promised at the start of "Smile." 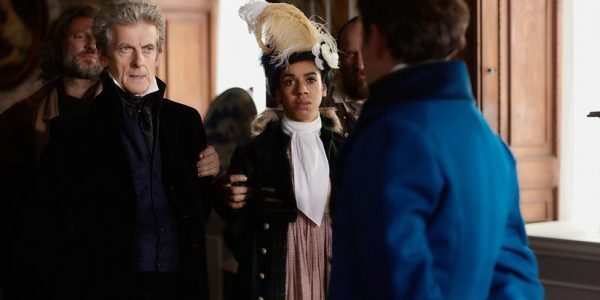 He quickly realizes The Doctor's been away and once again reminds him of his Oath, before bookending the episode with a new bit of information regarding the mysterious Vault. 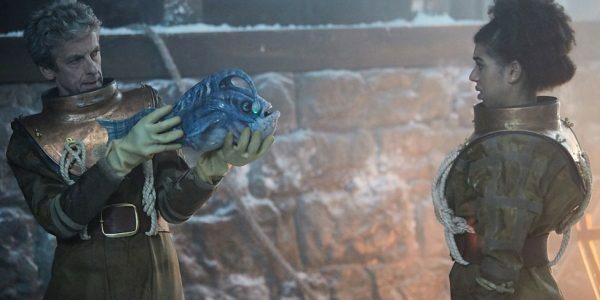 On the back of great characterization, good pacing, lots of entertaining moments as well a fair share of pretty serious ones, "Thin Ice" emerges as the best episode of the season so far. There's definitely room for improvement, but it succeeds where it counts the most - it makes you care about the characters.